I am on a new hunt. 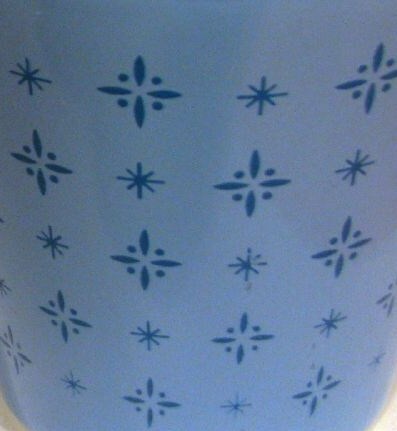 I recently saw a bowl with this Pyrex Foulard print in blue. I really do love the looks of this design. I went looking at images in Google and came across a few. But this does not seem to have a lot of love being given to it. But I did find another amazing picture of this design in more colors! 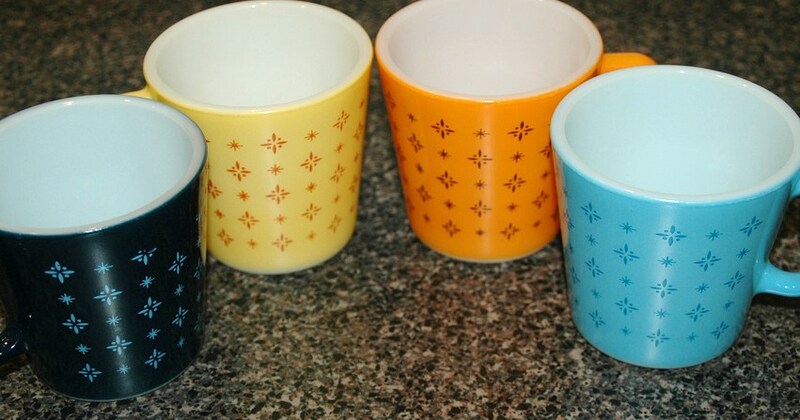 These are really great coffee cups! I love that orange! Even the black one is great looking with its blue print. 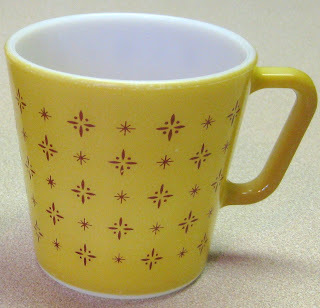 I am not really interested in the bowls, as much as I would like to have a couple of these coffee cups. Never knew this pattern existed. Love them, I will BOLO for these now! I've seen pictures of these mugs but never seen them live! They're really cute! I must have them, I was within a dollar of having a blue one on eBay and was outbid, last second. Ugh! Just wanted to cry. I'm bidding on a blue bowl currently, we'll see. I'm not crazy about the condition it's in, however, I love the pattern so much, I just have to have it!